The Buchanan Galleries Car Park is open during normal trading from from 7am until 11.30pm Monday to Saturday and from 9am until 11.30pm on Sundays. You can enter the car park from either Killermont Street or Cathedral Street. If you're using a route finder or sat nav, use postcode G2 3GF as your destination. This isn't the postcode for the centre, but it will direct you to our car park entrance. Once you're parked, a link bridge will take you right into Buchanan Galleries. Park on level 3 for direct access to the shops via the link bridge, or on level 5 for direct access to John Lewis. 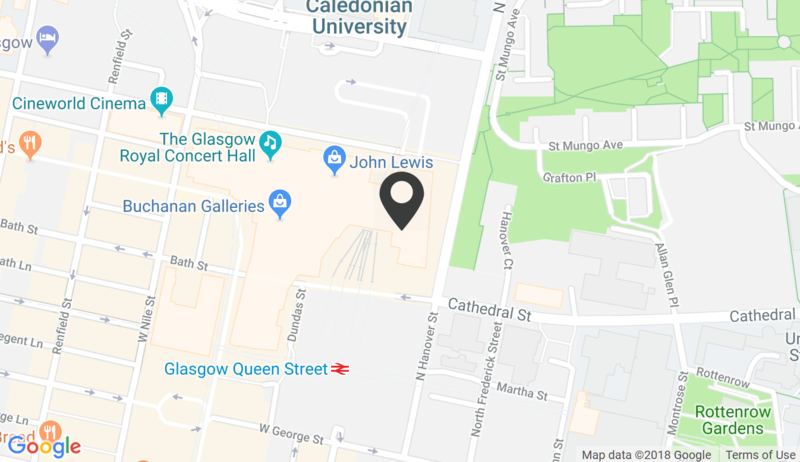 John Lewis customer collection is on car park level 2 (at the Killermont Street entrance/exit). Please note the maximum height of vehicles entering the car park is 2.1m. Weekdays - entry after 5pm (exit before 23:30) - flat rate charge of £2.00, ideal if you're visiting local cinemas, restaurants and theatres. Sundays - £2.00 for up to one hour; flat rate of £3 for over 1 hour (exit before 23:30).